-Available in many colours, Yellow is standard. 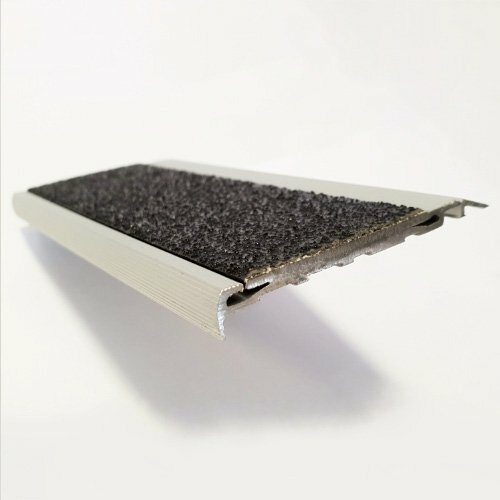 Lion Stair nosing /Stair Tread is suitable for all types of stair surfaces (Masonry, Concrete, Timber, Metal), but is designed especially for rough areas, such as mining sites. 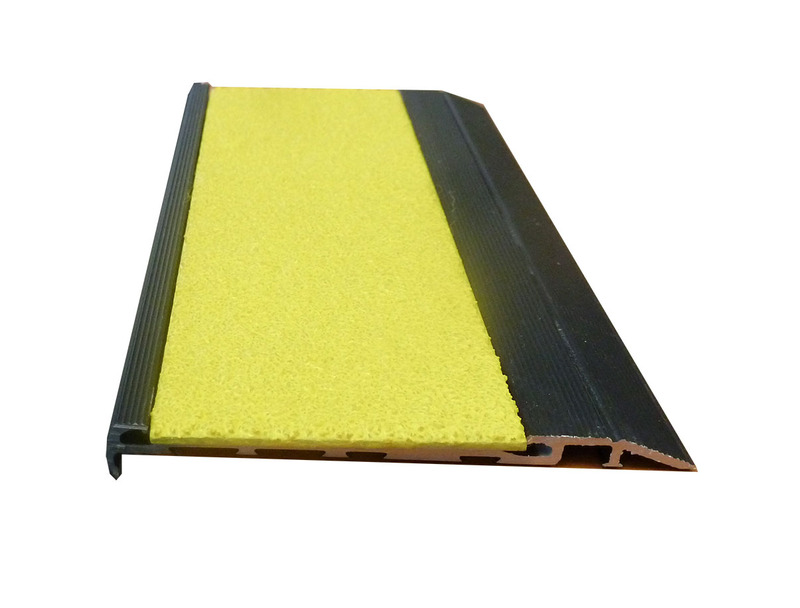 The bright yellow highly slip resistant colour coating ensures that all steps are highly visible. 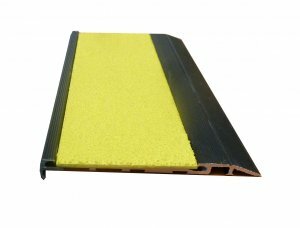 Lion is a highly slip resistant stair nosing overcoming all problems with oily and wet surfaces. 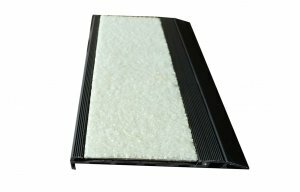 This product is Australia and New Zealand certified complying with all standards. The aluminum retained is 82 mm wide. Available in many colours, Yellow is standard. Wide range of custom colours available.